Kyle has a mother who doesn’t believe a word he says, a forgetful nan in a home and a father he has never seen. It’s no wonder Kyle was troubled as a child and made up an imaginary friend, a father figure, to keep him company. But when he hears scratching noises in the attic above his bedroom, and a girl around his age called Ameena later comes to his rescue, it’s clear that someone from his past is out to kill him. 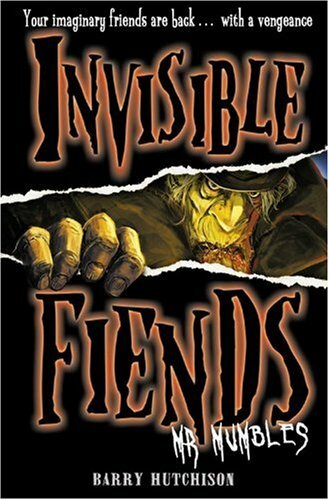 Could it be that his invisible friend, Mr Mumbles is back and even uglier and meaner than ever? And do both his mother and nan know more than they are letting on about Kyle’s past? For a kids book I found this an enjoyable read, although I do feel that being the first in a series the meat of the story is yet to come. The idea of a world named ‘The Darkest Corners’ where the neglected and forgotten ghosts of the past hang out, is pretty cool and I loved the scary Keller house next door – but we only touched lightly on these and I know there must be more to look forward to. An enjoyable and scary read that will keep your kids reading under the covers all night long, and possibly scared to turn the lights out, too. Check ’em out on the blog!